PUBG Corporation will open a new office in Amsterdam next month, and is "aggressively hiring" for new talent to work on its smash hit Battle Royale shooter. The company, which span out of Korean publisher Bluehole last year to cope with the rapid success of PlayerUnknown's Battlegrounds, confirmed plans for the new studio to GamesIndustry.biz. It aims to recruit a minimum of 50 people to begin with, half of which will be dedicated to game development, while the other half will handle business development and marketing. 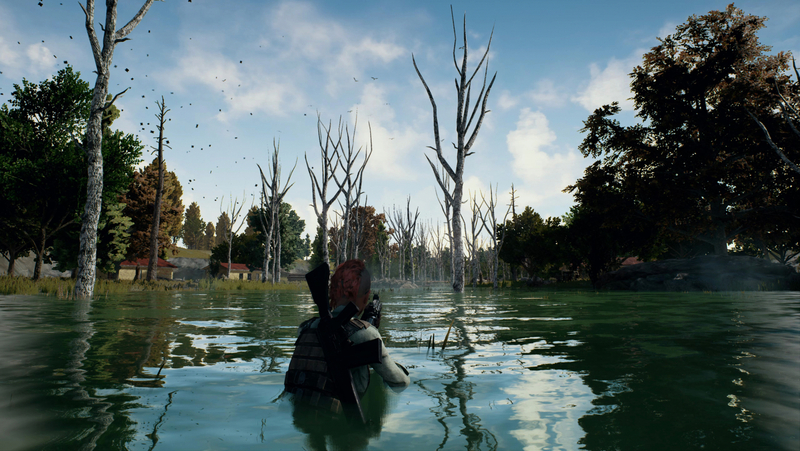 The Amsterdam team will be the fourth satellite office for PUBG Corp., adding to the 200 people already working on PlayerUnknown's Battlegrounds around the world. Speaking to GamesIndustry.biz, CEO Chang Han Kim said the new office opening was part of an ongoing expansion that started when the game first took off last year, hinting at more new studios to come. "We're not up to the speed that I want yet, but we have established the four offices and I think we're going to speed up very soon"
"Unexpectedly, we have seen global success and feel we have the responsibility to improve the game and sustain this at a global scale, so we are looking to expand our offices and we hope to do that in a few areas this year," he says. "We wanted to start with regions and countries that have larger userbases. So last year, we started by opening and expanding the offices in those areas... we're aggressively hiring there. We have established offices in Santa Monica, Shanghai, Tokyo and we are recruiting in those offices. This February, we'll open the new office in Amsterdam and expand the team over there." 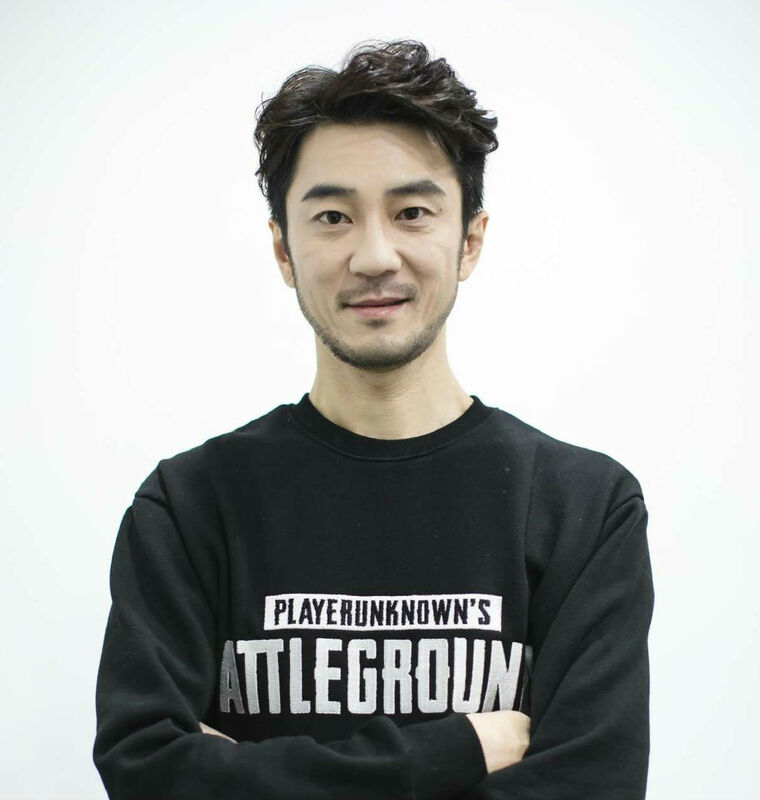 He added that opening new studios around the world not only assists development for the game itself, but also enhances PUBG's capability for marketing and the company's hopes of running esports tournaments in key markets. With offices established across Asia and in the US, Europe was the next largest territory thanks to avid fanbases in Germany, the UK, France and more. "But we can't have offices in all these countries. Amsterdam is geographically advantageous, and that's why we wanted to set up and office there first," Kim explains. Many of the lead game designers on the core PUBG team originate from Europe, not least creative director (and PlayerUnknown himself) Brendan Greene. According to Kim, some of these developers will move back to Europe in order to head up the new Amsterdam team and attract new talent. Recruitment has been surprisingly difficult, Kim says. While there is no shortage of developers keen to work on the game, finding them and bringing them on board at a pace that matches the growing demands of the PUBG player base has proved to be a challenge. "It's difficult enough to hire from Korea where our headquarters is," says Kim. "Hiring fast enough is always difficult, and it's even more difficult when you try to hire for the satellite offices outside of Korea. We're not up to the speed that I want yet, but we have established the four offices and I think we're going to speed up very soon." PlayerUnknown's Battlegrounds began life as an Early Access title in March last year, launching in 1.0 form on PC just before Christmas. The game has sold more than 20 million copies on PC, with another three million through the Xbox One Preview Program. It will no doubt rack up further millions when Microsoft's timed exclusivity deal expires, allowing PUBG Corp. to launch the game for PlayStation. There's no denying 2017 was a pivotal year, and Kim is determined to maintain that momentum in 2018. However, he stresses this doesn't necessarily mean we can expect a PUBG 2.0 by year's end. "[So far] we have been focusing on getting out of Early Access, but I think 1.0 as a number is just an iconic milestone," he explains. "It was just about keeping our promise with the community, because we promised we would launch as soon as possible and ensure the game had everything they wanted. 2.0 and 3.0 don't really have any meaning for us. "We see PUBG as an endlessly evolving online product. It's not like we have a clear roadmap with 2.0 and 3.0. The current version, I want to say it's flawless, but it still needs to be polished and enhanced. That will be our primary goal: polishing the current experience to provide the best game. "Secondly, we want to enhance the competitive side of the game. We want to make sure the gameplay can be more competitive and enjoyable for players. We will spend the entire year focusing on those two goals." Even so, given the incredible success of PUBG you would expect Kim and his team to have more concrete plans in place by now, mapping out the game's growth over the next two, three or even five years. But the CEO is determined to keep the project as agile as it was in Early Access. "We see PUBG as an endlessly evolving online product. It's not like we have a clear roadmap with 2.0 and 3.0"
"I think my management style and how our company has functioned this past year means we don't really paint a clear picture in the beginning - we just run towards whatever the next goal is," he says. "We would not have been able to achieve the success we have if we took the conventional approach. If we had followed the steps of other games, I don't think we would have seen the same results." He goes on to cite other online games that measure their lifespan in decades rather than years, like Counter-Strike or League of Legends. 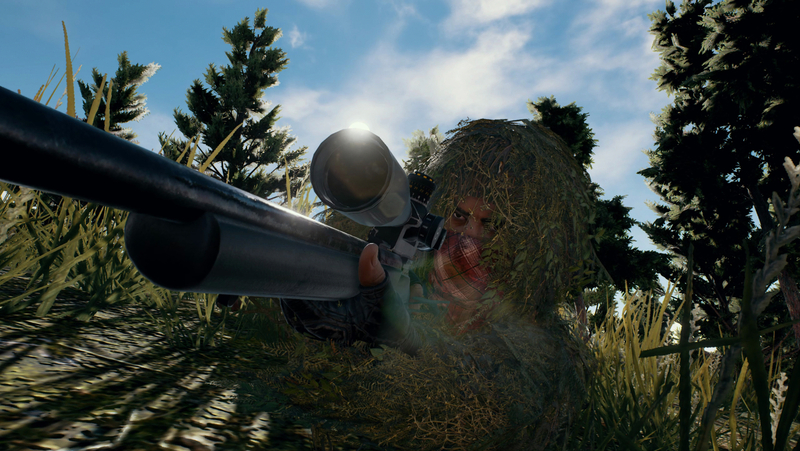 While he notes that some titles grab the world's attention for a year or two before dropping off the radar, he is confident this won't be the case with PUBG. "We want to do our best, to see how far we can go and just run towards the next goal without thinking about how far we can take this," he says. Kim also stresses that parent Bluehole hasn't tied all its fortunes to this single game: "There are many other studios and teams that are part of the greater Bluehole company, [which are] developing different themes and genres. There are many other games in development, so there could be the next PUBG come out of those other teams. He continues: "A lot of people tell us we've already seen great success, but I believe this is only the beginning. The opportunity to make something a global IP and enjoy a global success - that's very rare. Our game is still in its early stage, and we want to work with people that are passionate about the challenge [we face]. We want to help our game community grow further by working with awesome people." Kim was recently quoted as saying that he hoped to see PlayerUnknown's Battlegrounds become a "universal media franchise", prompting speculation about PUBG movies, novels and more. But, as many a AAA franchise has discovered, a smash hit video game does not necessarily translate to other forms of entertainment. PUBG would certainly be difficult to bring to the silver screen, with its appeal so firmly rooted in the tension of surviving each match, or in watching (via YouTube or Twitch) the random situations other players find themselves in. A linear, scripted Hollywood movie would be devoid of this. Kim agrees and clarifies his earlier comments: "So the phrase 'media franchise' isn't something I used myself. It was the [journalist], but I didn't think it was completely wrong so I didn't correct him. I was speaking about the long-term vision I had. "Fans are already creating short films and cartoons and uploading them to the internet... Those are the possibilities we want to explore"
"Our game has provided different ways to enjoy the game, whether watching it or playing the game itself - a lot of different things can be done around the game. What I want to do is we want to make an effort and invest resources into expanding this. It's fun to watch the game [because] it can be a bit random, and even if you play the game repeatedly you'll always run into a new situation and experience new things." He goes on to explain that PUBG Corp. is exploring ways to make the tournaments more fun for non-players to watch, to find the best format in which to present matches. "That's going to take a while, but if it succeeds we're going to be able to present something that's creative, and that will create a cycle of viewers wanting to play the game after watching it," he says. "If we're successful it will create a culture, and when you have a culture stories come out of it. "If you look at our community of players, the fans are already creating short films and cartoons and uploading them to the internet. We already see that, so those are the possibilities we want to explore. That's what I meant when I said that stuff initially." Community features were a big focus for the PUBG team in the months after its Early Access release, its developers working closely with fans to not only spread the word but also influence how the launch product looked come December. The fanbase has been so avid in sharing its experiences with the game that Kim's team has struggled to keep up - but that doesn't stop them from trying. "The community has grown exponentially," he says. "It's difficult to monitor everything and we hope to address this by expanding the team and putting in more effort. When our community was smaller last year we were able to read and watch everything, but now there's just too much. But I still like to catch up on what's been created by the community and watch a lot of their content and livestreams when I have free time. All our employees share the most compelling content from the community." Kim goes on to say that influencers in general "played a very crucial role" in helping PUBG grow, starting with Twitch streams and leading up to the short films and memes created by the community. The launch of a replay editor also enabled more players to become content creators and share their experiences. And Kim reiterates that he was referring to this video content when discussing the possibilities of making PlayerUnknown's Battlegrounds a "universal media franchise." There is no PUBG movie - for now. "We don't have any specific plans, but we're thinking a lot about what that could look like," he says. "What we want to do is look at how this can be another form of entertainment for our fans; not as a tool to make more profit, but as something we can enjoy with our players and how we can do that through new media."